Welcome to the July Gifted Gorgeousness link-up. 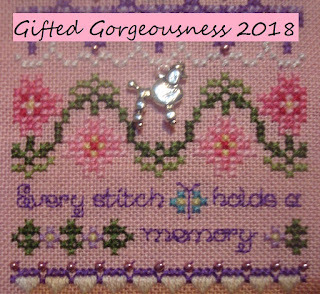 The link-up date will continue to be the 15th and I will keep the link-up open until the end of each month so you have plenty of time if you are late posting. I actually managed to get a good bit stitched on Saturday afternoon, all the wings and around the hippo's bottomus! 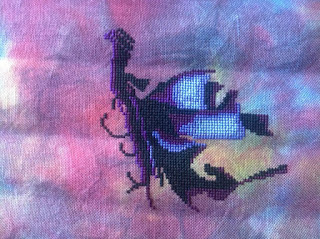 What a thing to stitch! I'm hoping to get quite a bit of that hippo done later today as next week is a busy week. I also received some gorgeousness too - chocolate gorgeousness all the way from New Zealand! The lovely Margaret wanted to thank me for helping her out and sent a box of goodies. Unfortunately the Large Boy picked the parcel up from the doormat and read the customs label so he knew it wasn't stitchy goodies and wanted to share LOL. 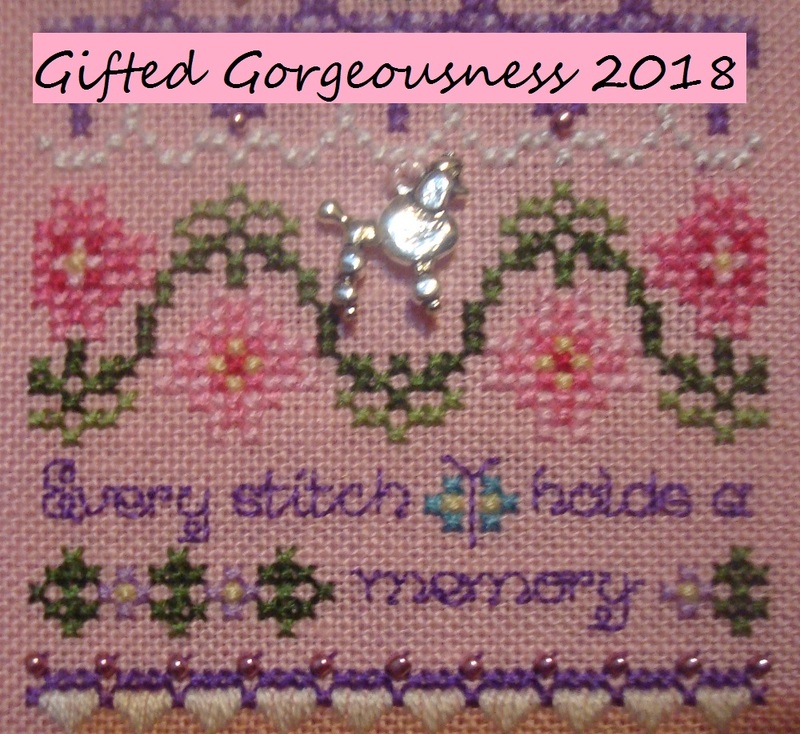 Now it is your turn to show us your Gifted Gorgeousness for the month. Please use your name or your blog name in the field and NOT the words "July Update" so I can easily see who has linked up this month. And link to the actual post, not just your blog. It is easier if you copy and paste the link, rather than typing freehand. Finally, the Summer Postcard Blog Hop has started! The first card went out to Ariadne from Greece, so follow the link below and find out who sent the card to her. Hopefully her post will appear sometime this week. 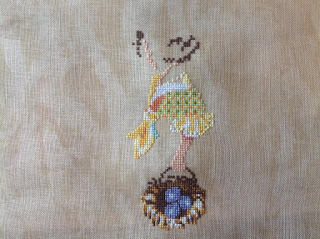 Great post love your stitching WIPs . Lots of progress on Chatelaine's Garden! The basket of sweets from Margaret looks so tempting, love the names of the candy, Bliss balls and hokey pokey!! Fun to see what is made in other parts of the world. Hope your coming week isn't too harried and you get lots of stitching in. I just wrote my blogpost so you can see it!Thanks Jo for all the initiative and interesting challenges. AriadnefromGreece! They all look great Jo. How is Alice doing? Your "12 Days of Christmas" is looking wonderful. Love the colors! Everything else is moving right along ... fun to see your progress. These are wonderful projects with beautiful stitching-as always. Beautiful stitching. Everything looks great. Finally had time to link up. Thanks for hosting. Lovely progress - that flying hippo is so fun, I can't wait to see more of him! I'm all posted and linked up, and not even two days late. Amazing, right? Lovely progress on all your projects. I haven't been stitching since a month, still managed to post something. Thanks for hosting this! It is always fun to see what people are stitching. I finally posted, and so glad to see the turtle again! Each project that you are working on is brilliant, Jo. Lots of progress.